I have an addiction. I am addicted to HGTV. I’m not sure why. If there is nothing else to do or watch, you can bet I am watching some lame person looking for a new home on HGTV. I love watching Property Virgins, Income Property, House Hunters and House Hunters International, and of course I LOVE Holmes On Homes! Recently I’ve been seeing this show Deck Wars on HGTV. Every time this show is on, it makes me cringe. The point of the show is to have two teams compete to see who can create the best deck. Great idea. Unfortunately these decks are made in a big studio around a fake house. At the end no one has a wonderful deck to use. They’re taken apart and apparently the materials are somehow disposed of…. uh huh. Sure. What I could never understand about this show, is why they don’t have two houses in the same neighbourhood getting these decks? After the show is over and one team is declared the winner, two families will have an awesome deck! What great advertising! What a good way to make sure there isn’t wasted materials! What an interesting show this would make…. I have no idea why I was so incensed about this. I think it may have to do with the fact that I’m not working right now, and I need a cause. [feudusoleil] has sent the following message via the contact us mailer on Television HGTV. I have a comment about the show Deck Wars. I’m wondering who came up with the idea to make decks in a building and then see who has the best deck. Who benefits from these decks? No one. What happens to these decks after the show has been filmed? What a waste of materials! Why did no one think it would be a good idea to have these two teams pick two people in a neigbourhood and make decks on their places? Then, no matter which team wins, two people in the neigbourhood also win. They get a deck! And no wasted wood and materials. It makes me angry every time I see this show, and watch them make a deck in a big room. How wasteful this is. I end up turning the show off, because it irritates me so much. And I probably would watch if I thought someone would be getting to use these decks at the end of the show. This would be good advertising for the show as well. I’m not sure who you have pitching your show ideas… but I think it’s time they retired. Then, I promptly forgot all about it. I’d vented and I figured I would hear nothing back from them. After all, I’m just a viewer, and I’d likely still watch their station. Just not this show. But guess what!!! I did get a reply! Today. A typical, it’s not my fault, it’s someone else response. Thanks for contacting HGTV Canada! We appreciate you taking the time to provide us your feedback. 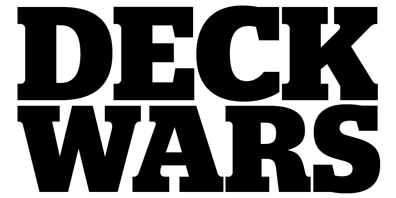 The cast and crew of Deck Wars are committed to keeping the planet as green as possible. Over 80% of the material you see in Deck Wars was either reused or recycled. HGTV Canada broadcasts many shows and our programs are produced by independent production companies. In most cases whenever they are able to recycle or re-use a product they do, using local companies to recycle the products, however, that aspect is not featured on the show. Again, we appreciate the time you have taken to bring your thoughts and opinions to our attention, as viewer feedback is very important to us.